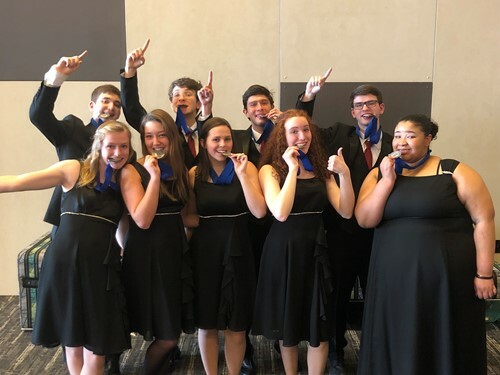 If singing is part sport, the Indian Hill High School (IHHS) Braves who took the stage at the 2019 Ohio All-State Choir Saturday, February 2, at the Grand Ballroom of the Cleveland Convention Center, can claim victory. 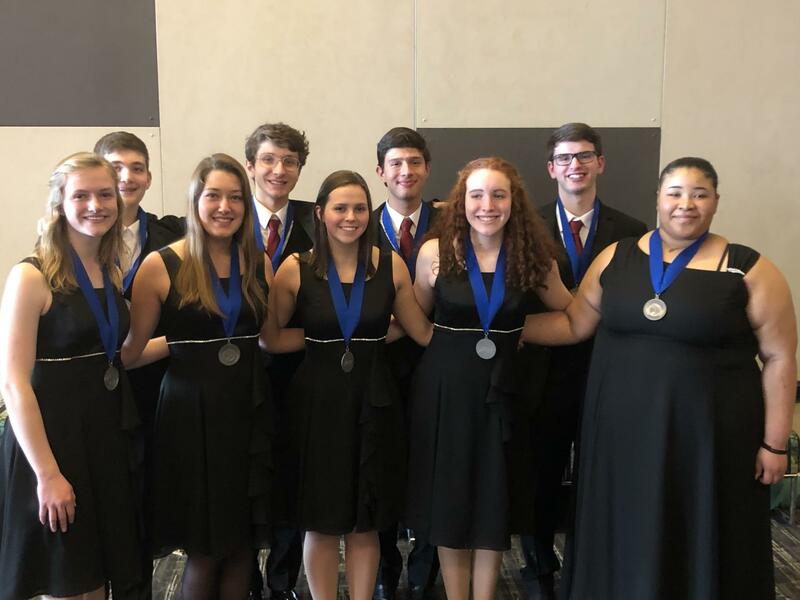 Indian Hill High School had a record number of nine vocalists selected for this honor – more than any other high school in the state of Ohio. “Singing really is a sport and not just an art,” said IHHS student Kennedy Frost following the performance. Frost would know about the preparation it takes to perform at the state level. 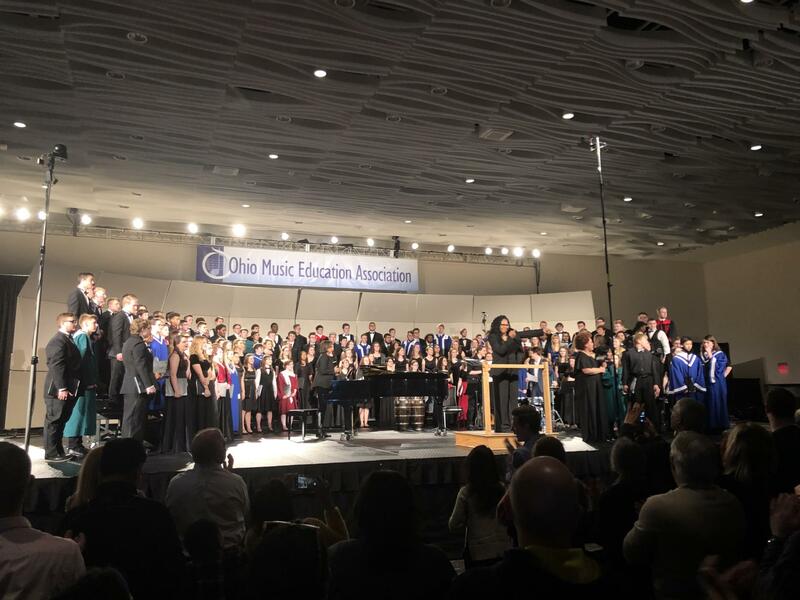 From arriving in Cleveland Thursday up until taking the stage Saturday, Braves joined the 165-member group gathered in large ballroom spaces to rehearse under the guidance of guest conductor Dr. Kellori Dower. The singers performed a varied set of challenging repertoire from the Renaissance up to recently released choral compositions. 6855 Drake Road Cincinnati, OH 45243 Phone: 513-272-4500 | Fax: 513-272-4512 © 2019. Indian Hill Exempted Village School District.